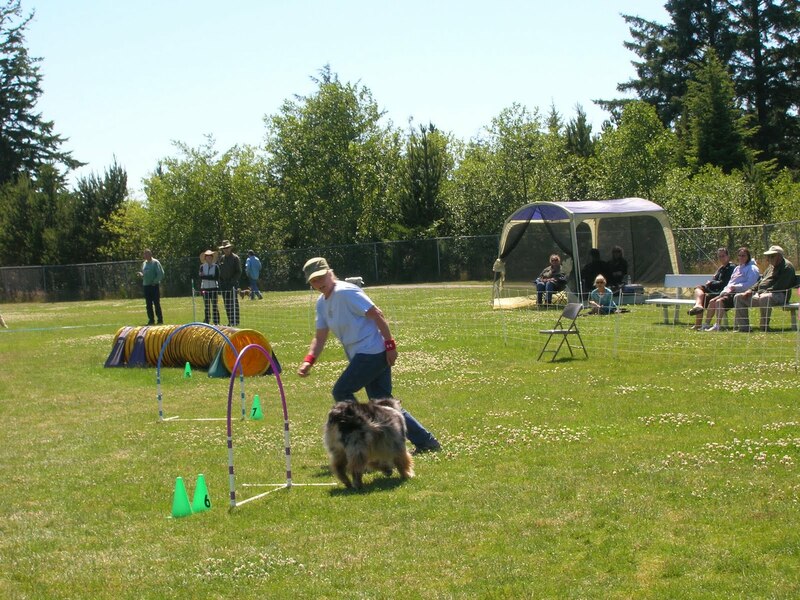 Annie and I made our annual trek last weekend to the WAG (Willamette Agility Group) dog agility trials held at Newport Intermediate School. It was a bright sunny day, and the field was full of dogs, from chihuahuas and pugs to shepherds and weimeraners. 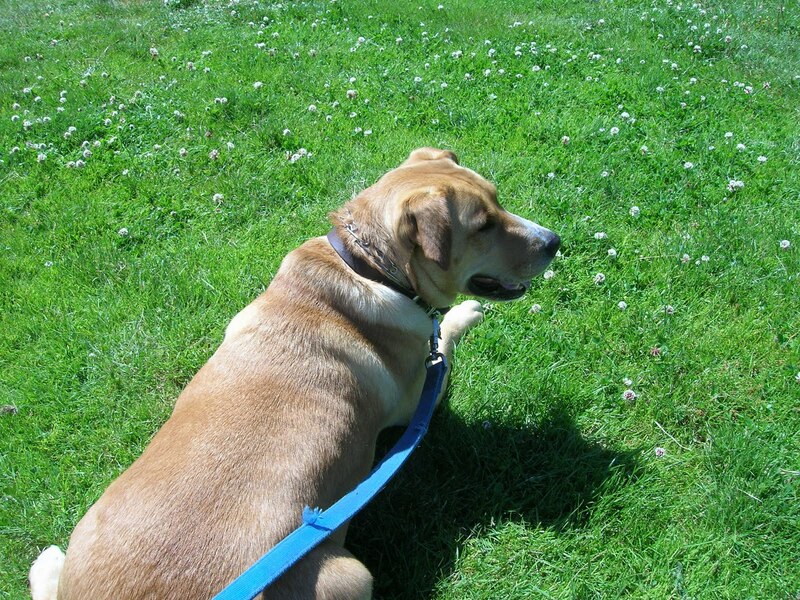 Plus one yellow lab-terrier mix who couldn’t care less. I love watching agility competitions. I’m always amazed at the connection between dog and owner. In the good teams, they barely need to communicate. The owner unleashes her dog, gestures toward the first hurdle, and the dog zooms onto the course, weaving, jumping and tunneling as if it’s the most fun it ever had. Of course some dogs aren’t quite as cooperative. 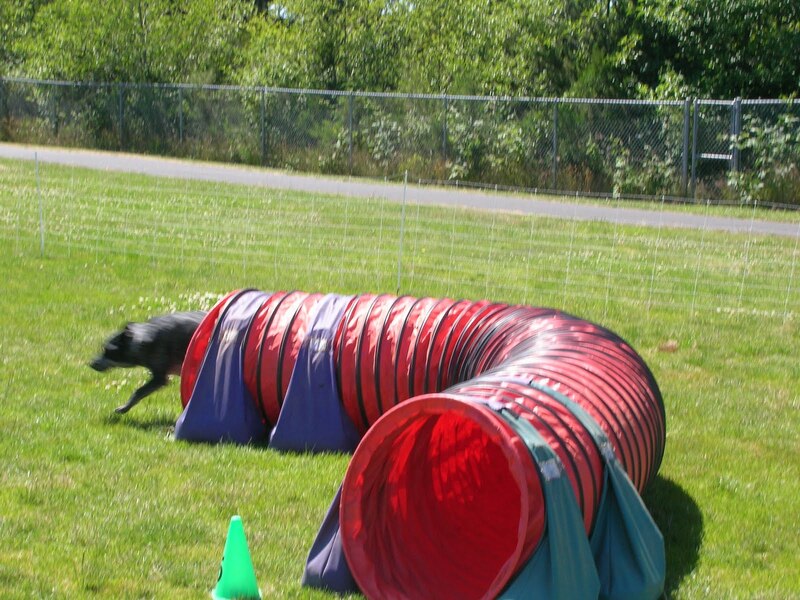 It takes lots of training to succeed at agility. You get the dogs who stand in the middle of the course barking, as if to say, what do you mean weave? I want to play. You get the ones who are eager to please but can’t quite figure out which way to go. You also get the ones who pick this most inopportune time to relieve themselves. My own dear Annie has no interest in agility competition. Folks have set up several agility-type obstacles at our dog park, but I can’t get her to set paw on any of them. At the trials, she’s the kid out in left field picking daisies and chasing bumblebees.I’ll say, “Annie, watch this dog.” No thanks. I look around and she’s facing the other direction, watching a butterfly. So be it.